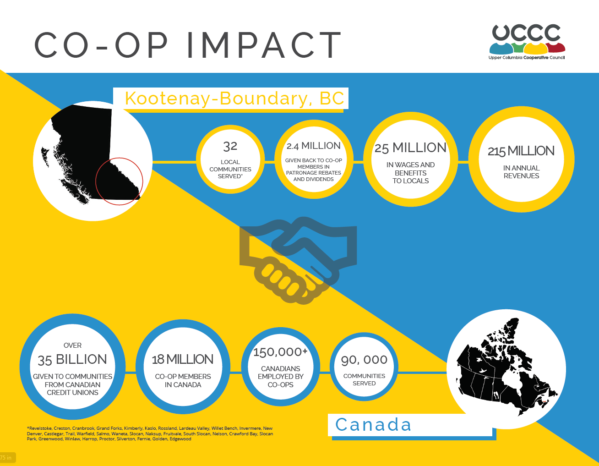 Cooperatives have a significant impact on the Kootenay Boundary region. We know co-ops are an important part of our region’s fabric, but we wanted to establish a benchmark and measure our collective impact. Thanks to BC Cooperative Association and Kootenay Country Store Co-op for supporting this project, and to Catherine Fisher for managing the project.